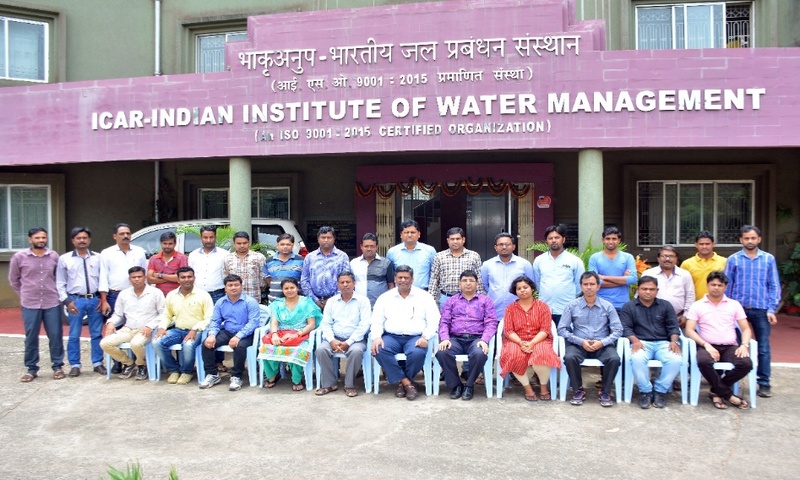 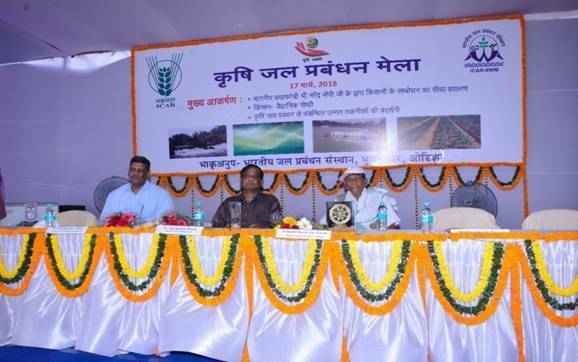 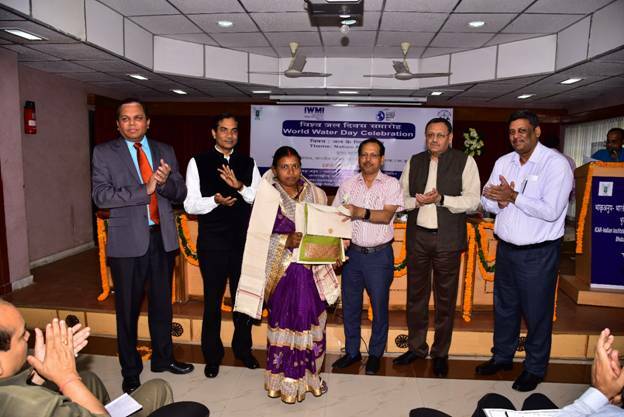 A one day Krishi Jal Prabandhan Mela was organised by ICAR-Indian Institute of Water Management (IIWM), Bhubaneswar Odisha on 17th March 2018 at the Institute premises. 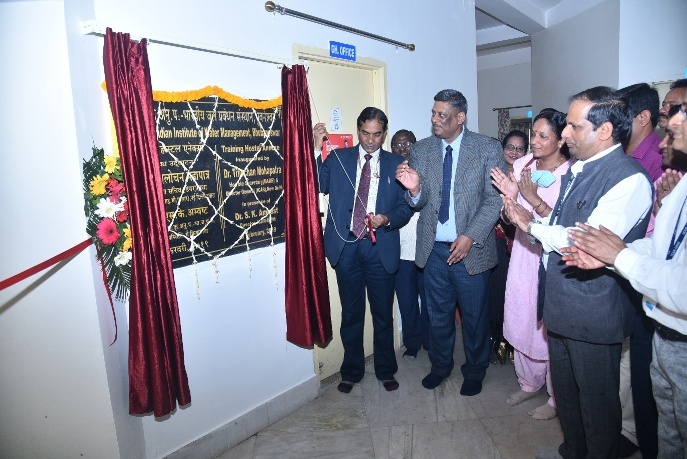 Hon'ble Padma Shree Bhabani Charan Pattanayak, Former Member of the parliament was the Chief Guest and Padma Shree Dr. Ajay Parida, Director, Institute of Life Sciences as Guest of Honour inaugurated the programme and the exhibition. 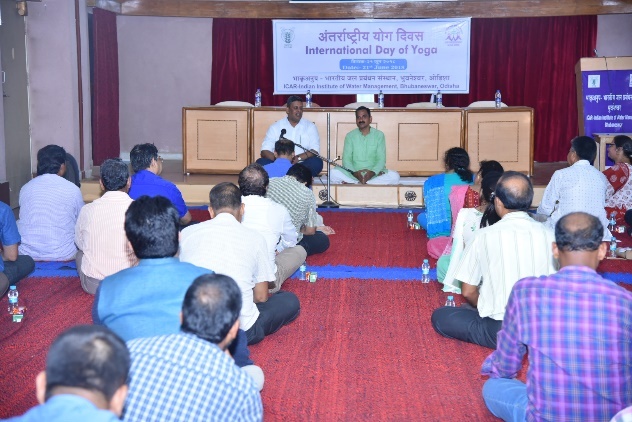 Shri Priyadarshi Mishra, MLA, Bhubaneswar North Constituency joined the function as Guest of Honour. 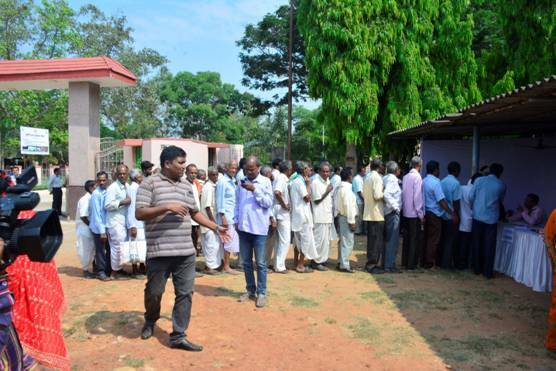 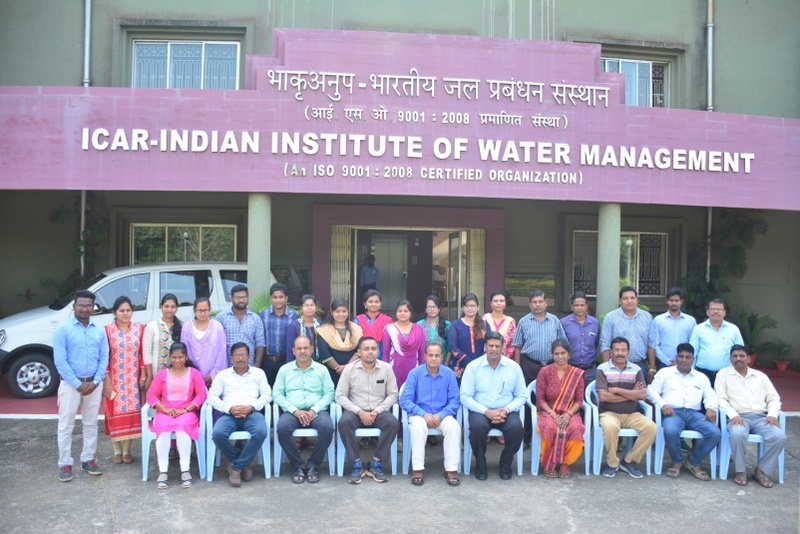 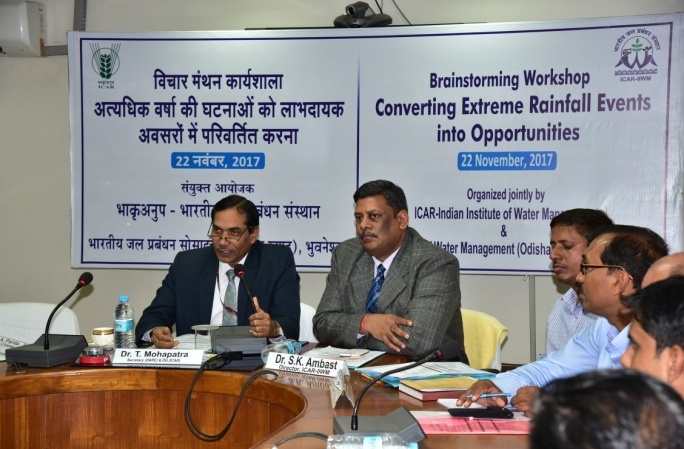 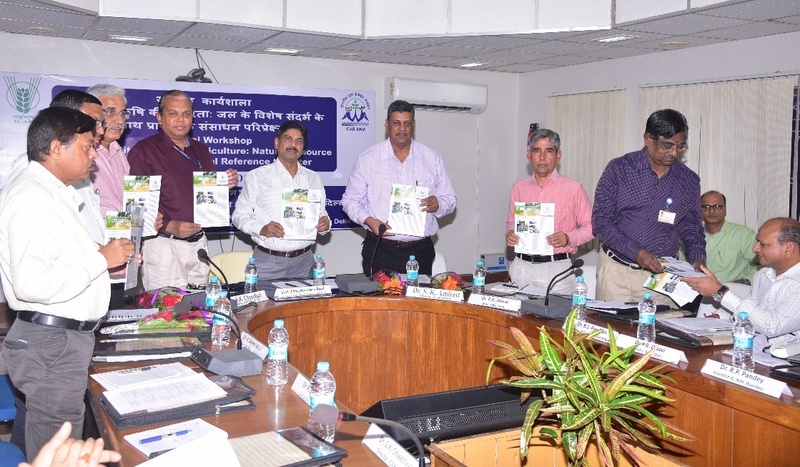 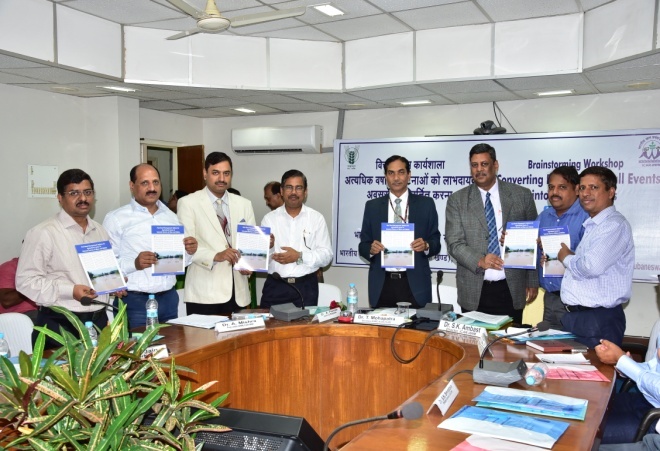 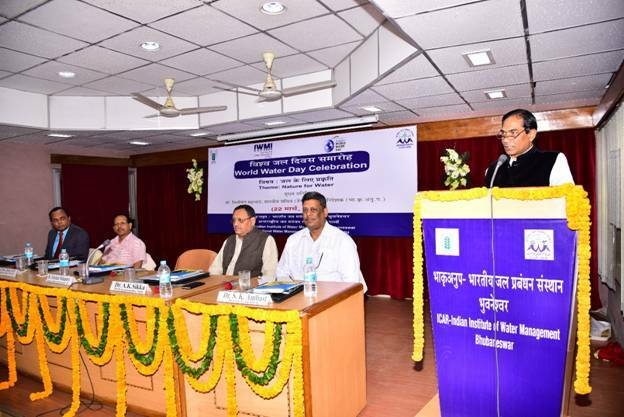 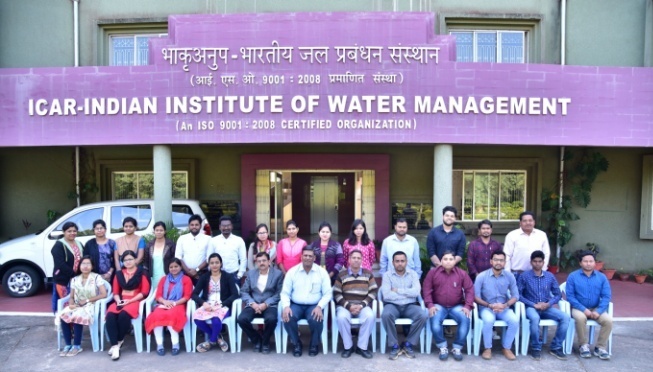 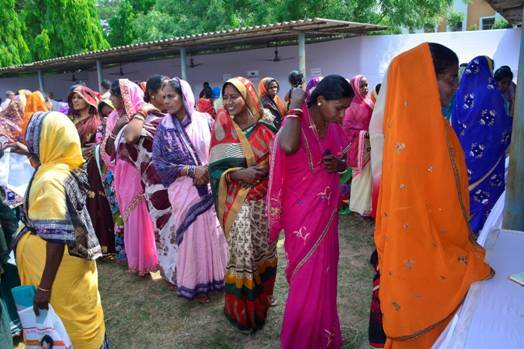 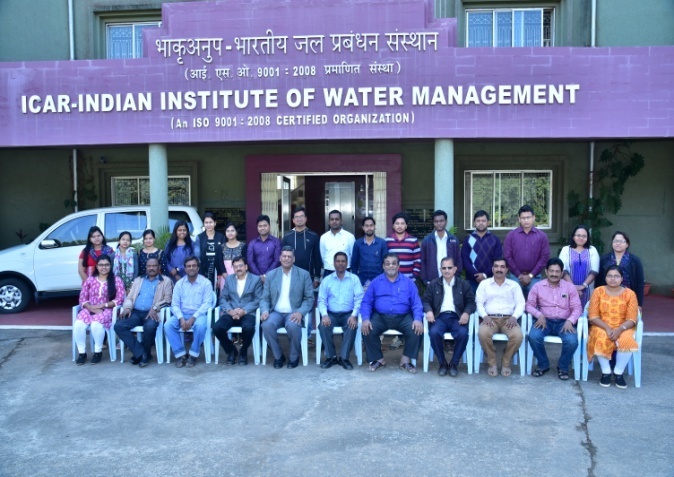 A total eight stalls and exhibits were displayed under four operational programs of the Institute i.e., rainwater management, canal water management, groundwater management, waterlogged area management and on-farm research and technology dissemination. 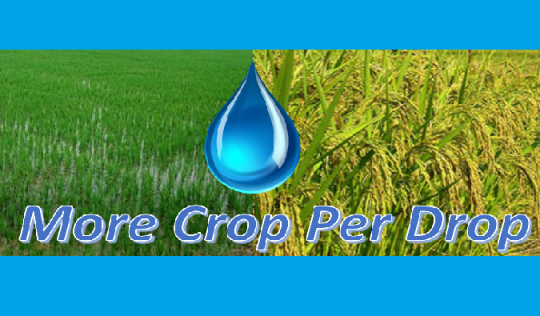 Technologies viz., land modification technique for enhancing land and water productivity, water and nutrient self-reliant farming system for rainfed areas; climate resilient agriculture, groundwater recharge and management, options for enhancing irrigation efficiency, development of integrated farming systems in canal commands, water saving irrigation technologies in rice production system, drip irrigation systems for rice-based cropping, wastewater treatment systems, guidelines for wastewater use, bio-remediation of polluted water, multiple use of water for increased water productivity, ICAR-rubber dam etc. 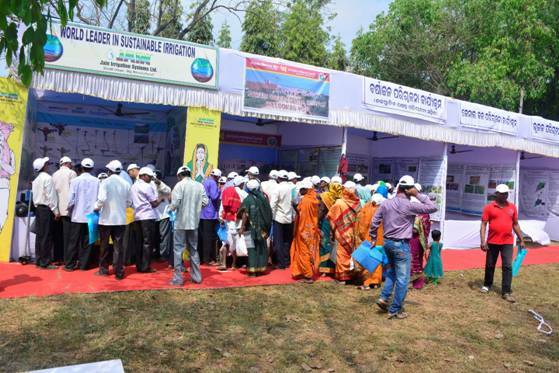 were displayed. 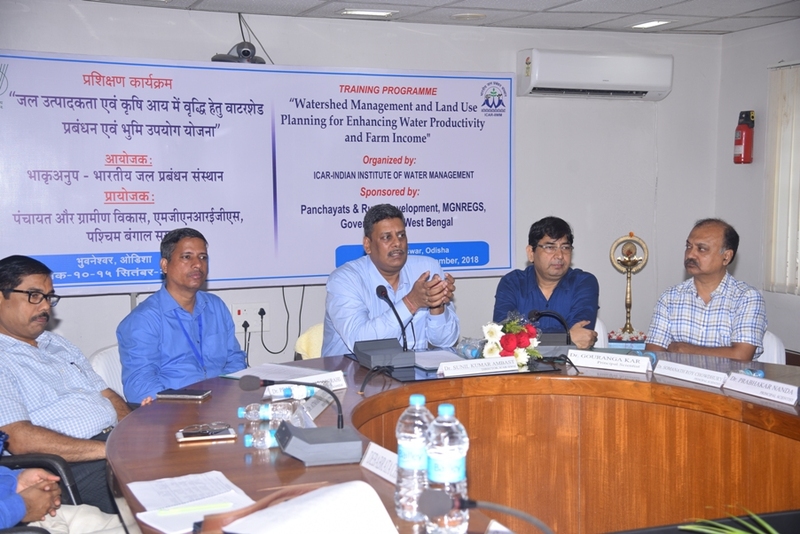 Live demonstration on drip irrigation system, in situ wastewater treatment system alongwith live models of ICAR-Rubber dam, online hybrid filter for wastewater treatment were also exhibited. 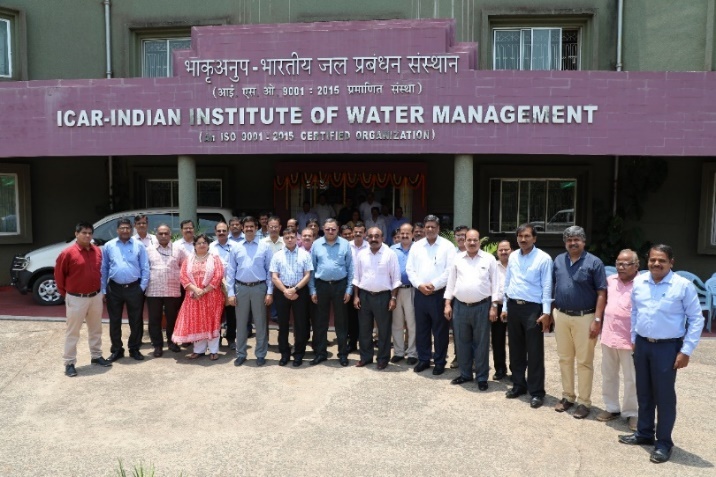 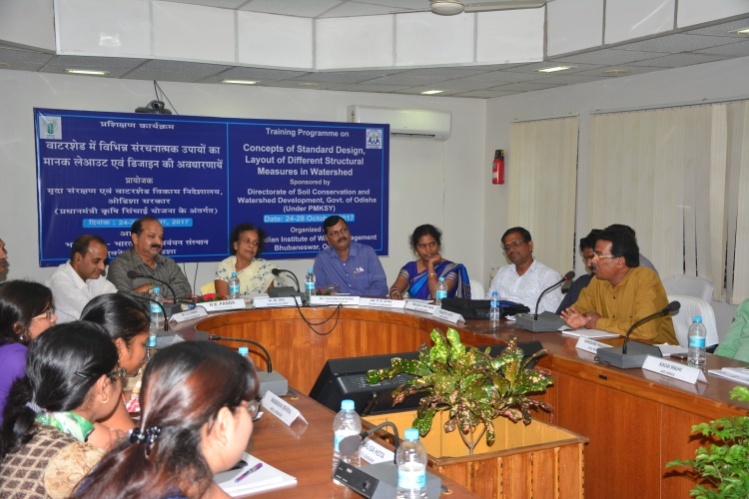 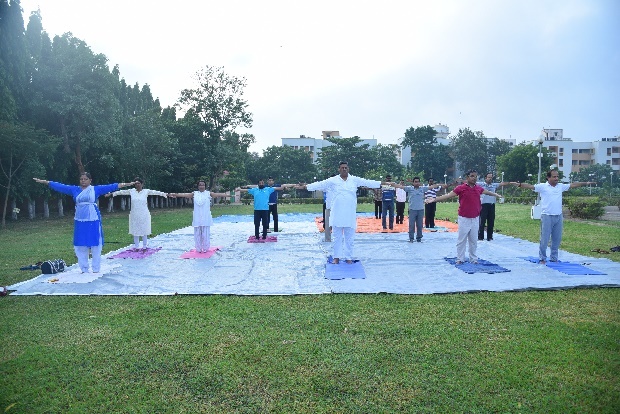 Various water management technologies were also demonstrated through digital media. 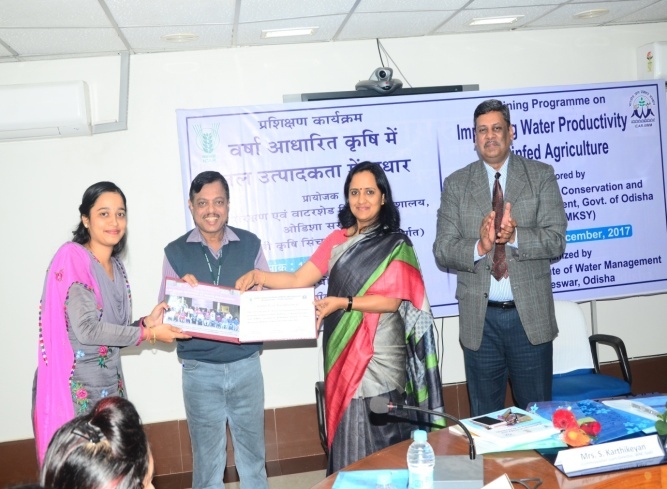 Hon'ble Pattanayakji appreciated the effort and expressed that water is a key element for life and agriculture and we need to conserve as well as utilise water judiciously and effectively. 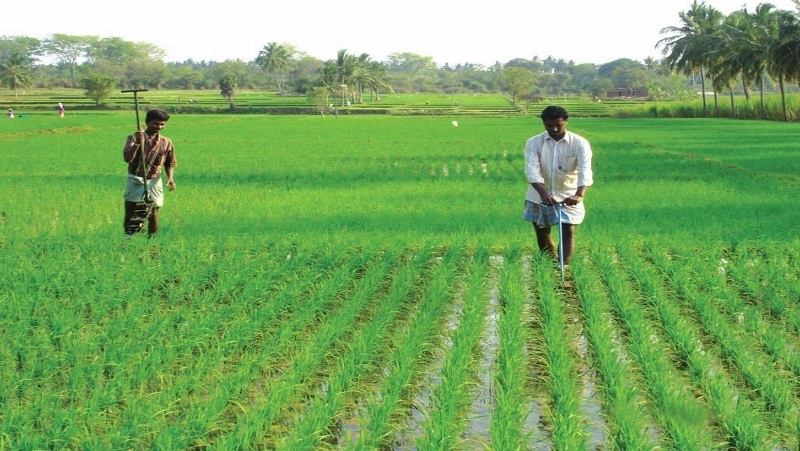 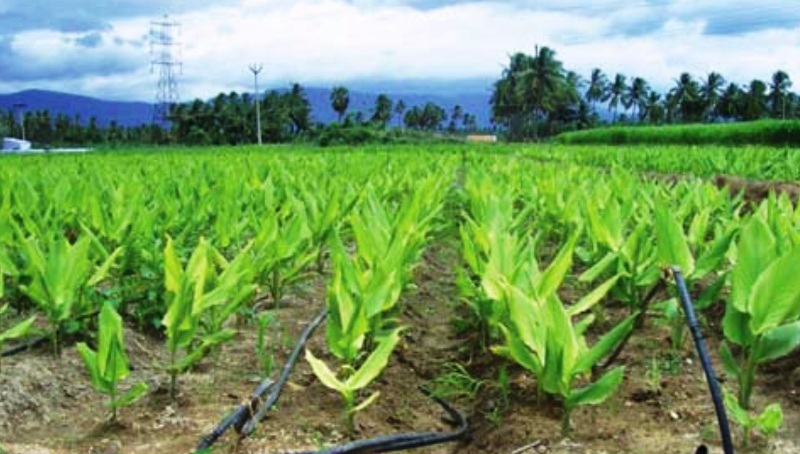 Farmers should expose themselves to the available technologies and adopt them for better livelihood and income. 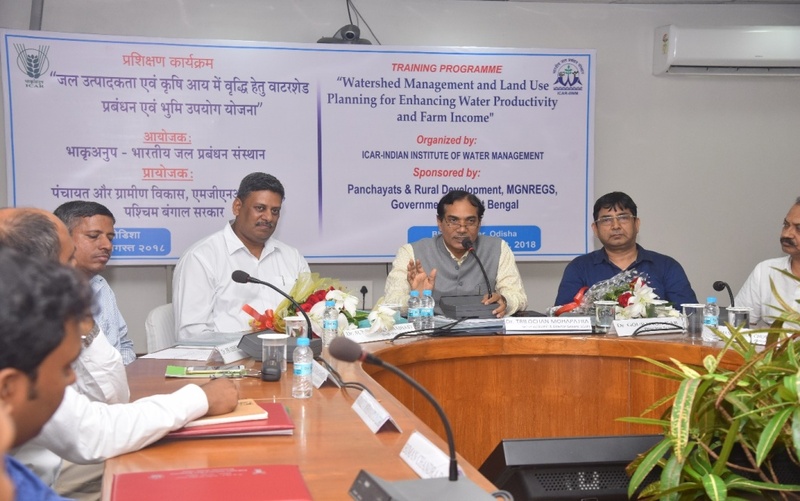 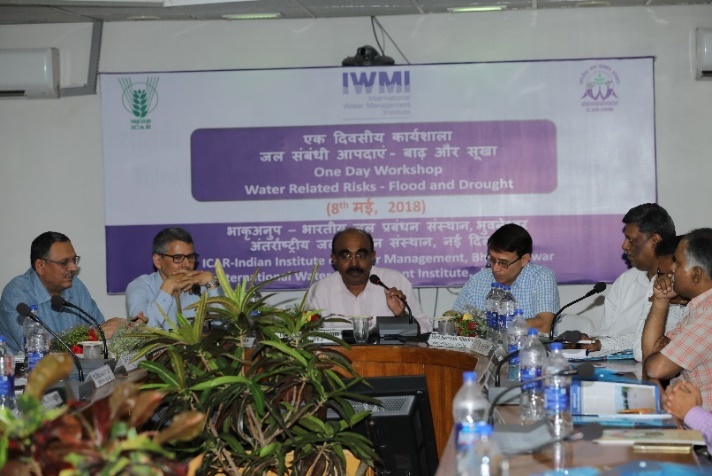 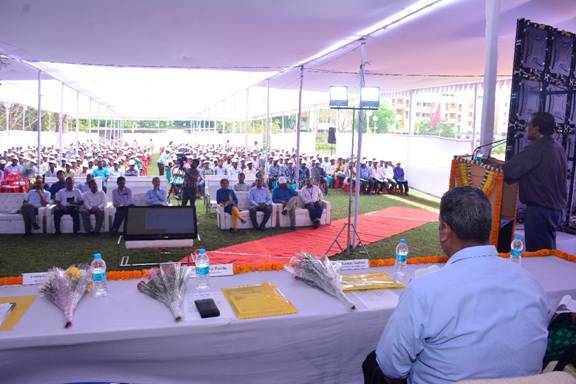 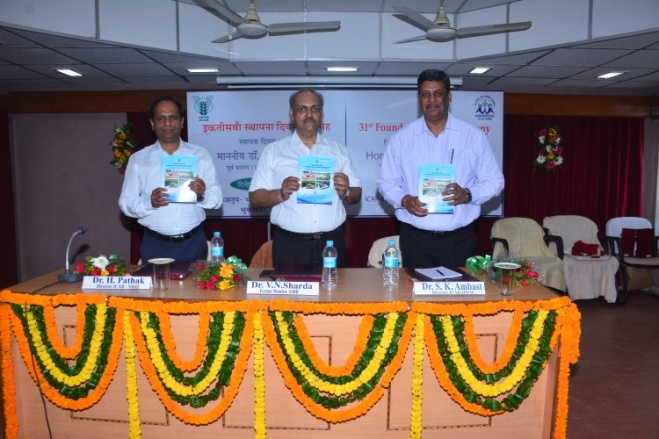 Padma Shree Dr. Ajay Parida also address the farmers and emphasized on use of modern techniques in saving water and improving productivity per drop of water. 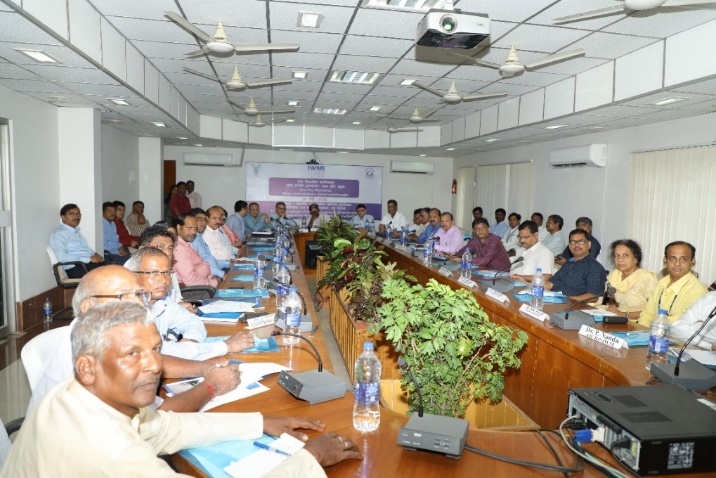 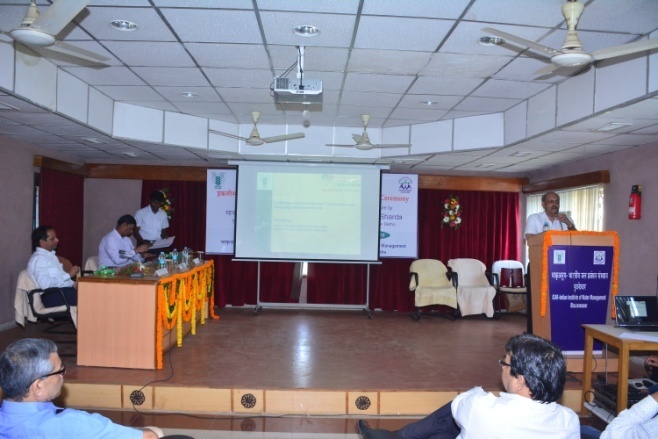 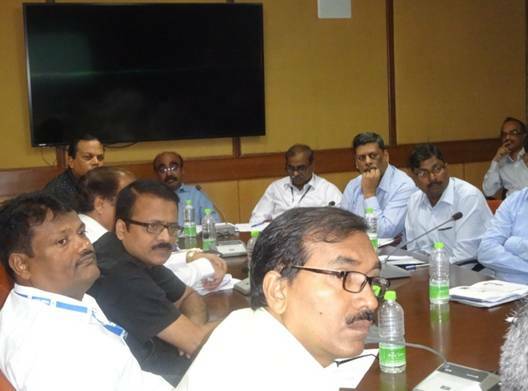 Earlier Dr. S. K. Ambast, Director, ICAR-IIWM welcomed the distinguished guests / gathering and narrated the objectives of the mela Altogether 1019 farmers from different villages of 7 districts viz., Khorda, Cuttack, Dhenkanal, Puri, Jagatsindhpur, Keonjhar and Kendrapara were registered. 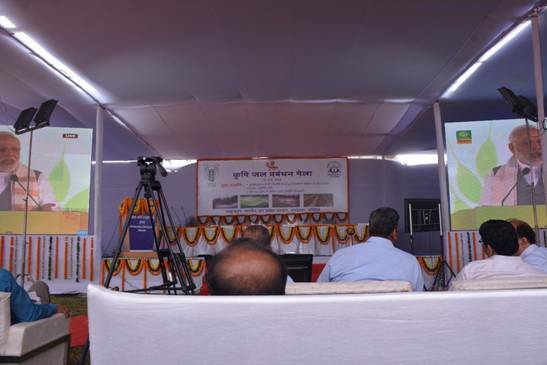 As scheduled, the address of Hon'ble Prime Minister Shri Narendra Modi, to farmers, agricultural scientists and other participants was web telecasted from Mela ground, IARI, Pusa, New Delhi on the occasion of three-day Annual Krishi Unnati Mela being organised by ICAR-Indian Agricultural Research Institute (IARI). 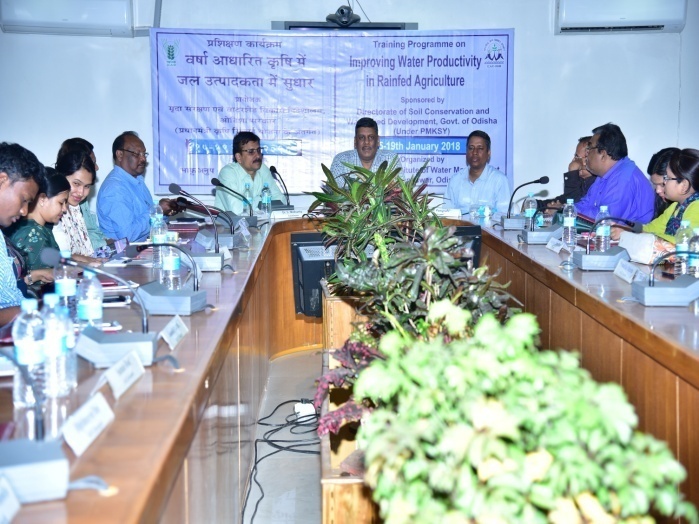 He expressed his concern about the farmers and urged them to adopt technologies suitable to their practices and gear up themselves to double the income by 2022. 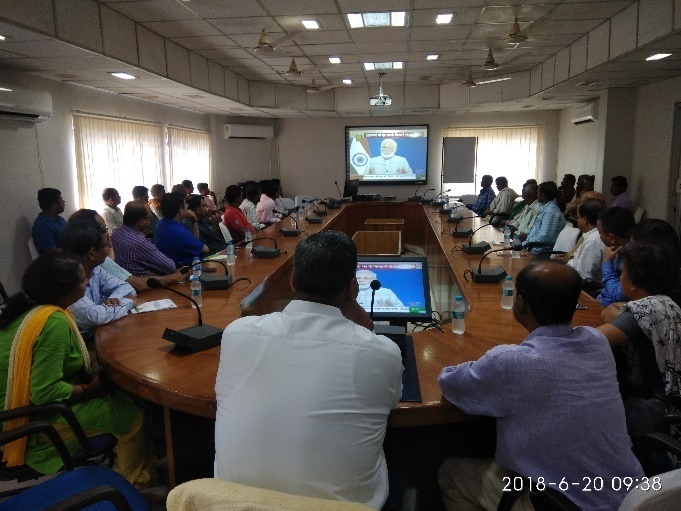 Hon'ble Prime Minister inaugurated the Jaivik Kheti portal and laid the foundation stone of 25 Krishi Vigyan Kendra (KVKs). 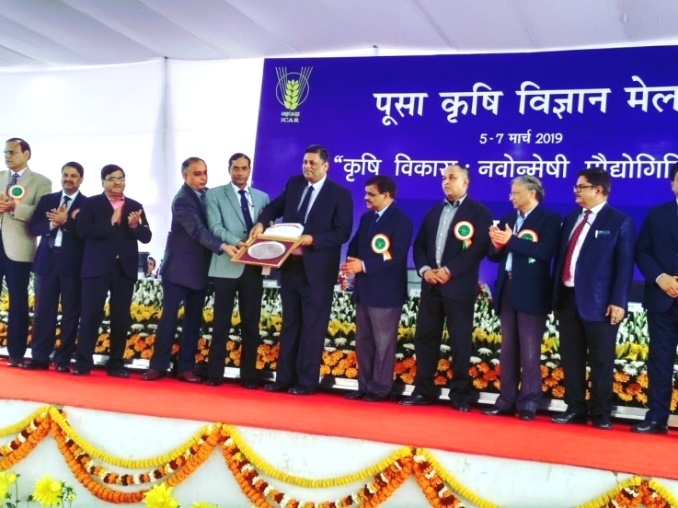 Very prestigious Krishi Karman Award and Pandit Deen Dayal Upadhaya Krishi Vigyan Protsahan Puruskar awards has been also conferred to different states and progressive farmers by the Prime Minister. 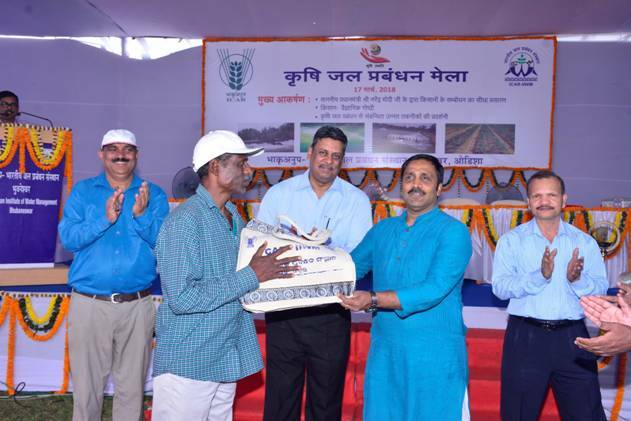 Kishan Ghosthi followed by a quiz programme was also conducted and prizes were distributed to the farmers by the Honourable Guests. 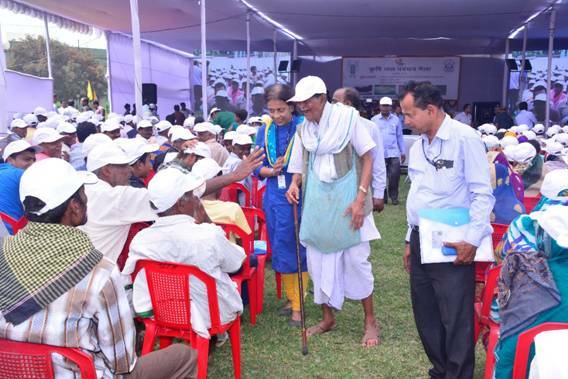 Farmers enjoyed the programme and interacted with the scientists and got exposure to various water management technologies useful to them.